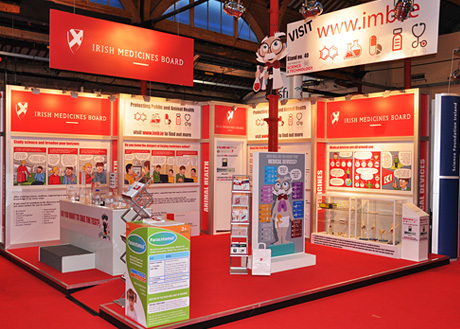 At the 2011 and 2012 BT Young Scientists’ Exhibition, the Irish Medicines Board needed a fresh approach to inform and engage visitors to their stand. They had a serious story to tell their target audience of school-going kids. We used a range of comic strips to tell teenagers and younger children exactly what the Irish Medicines Board were about and why they were relevant in their world. I came up with the concept, storyboarding and copywriting and Philip Barrett supplied the artwork and illustration.